That was a strange thought initially for me. I grew up on a farm in South Dakota. Attended college in the Chicago area. Stayed there for eight years after I graduated. Moved to the suburbs of New York City. By then I had established much of my reputation as a writer. But in moving to my wife's hometown, I would be assuming Birmingham's history as my own along with the assumptions of readers who don't know anything else about my own history. We who live together in this flourishing mid-sized city deep in the Heart of Dixie have a couple options with how we'll handle this history. We can try to ignore it, at least if we're white, and scold anyone who brings it up as being stuck in the past. Or we can celebrate the heroes, motivated by their faith in the God of justice, who fought against a corrupt, discriminatory system and won. I'm thankful for the example of local church leaders, white and black, who praise God for his mighty work in the last 50 years but also recognize merely remembering past wrongs will not lead to the kind of reconciliation and cooperation we need today. One such leader who has inspired me is Jason Williams, urban ministry pastor at Briarwood Presbyterian Church in Birmingham. When we first met I was transfixed by his story of God's overwhelming grace amid his troubled past—from 17 points per game as a freshman college basketball star to six arrests and finally to church ministry. As an outsider to Birmingham I soon learned to seek him for counsel on how to navigate complicated ethnic differences in our city. 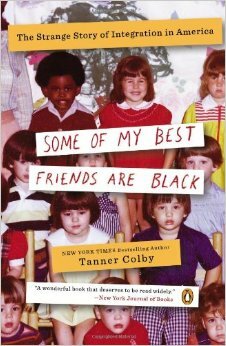 I found great help in the first book he recommended to me: Some of My Best Friends Are Black: The Strange Story of Integration in America, written by Birmingham native Tanner Colby. I commend the book to help you see racism is not just a Birmingham problem, not just a white or black problem, but a human problem, evidence of our fallen nature as sinners. Colby tells the story of institutional racism in Kansas City housing developments, racial profiling and proifteering on Madison Avenue in Manhattan, and surprising retiscence to integration among black Roman Catholics in Louisiana. He narrates the story of Birmingham as well, but you'll never again be able to dismiss segregation as long-ago, black-and-white footage from a far-off place. Using this book as our conversation starter, Williams and I recently met at Beeson Divinity School in Birmingham and recorded a half-hour interview about his memorable journey as a white man bridging ethnic divides. We invite you to listen in and consider how God may be calling you to love your neighbors across ethnic lines in your own city.